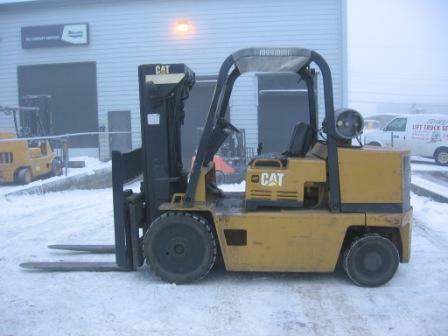 This 12,000 lb capacity Caterpillar forklift is in great shape. 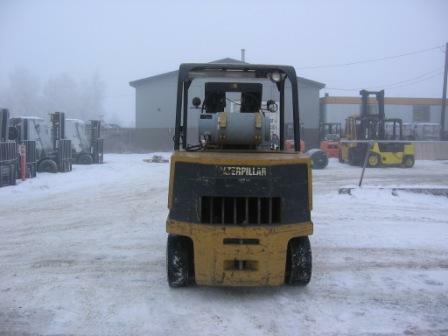 The unit runs and operate great. 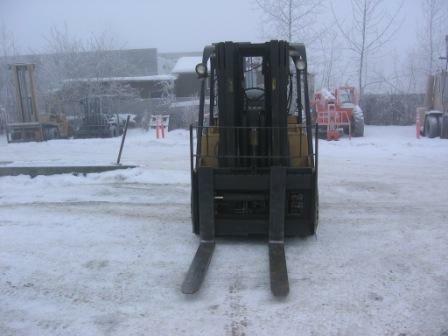 Unit's previous owner maintained forklift and all maintenance records can be provided. 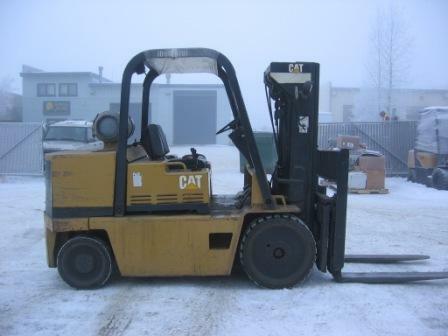 Unit has 144" of lift, side shift, 48" forks, propane GM engine, large treaded cushion tires, compact chasis, and comes with a 30 day Power Train Warranty. 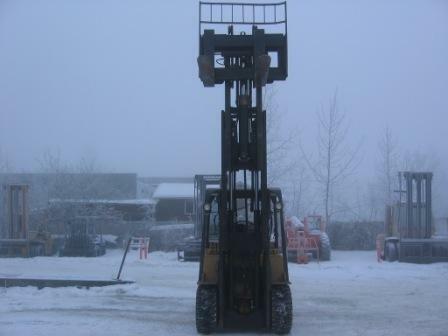 If you want the lifting compacty of a large lift but the compactness of a small lift, then this lift is for you. Call to day to schedule a demonstration. 338-5438!